Famous for its vibrant beaches, happening places and nightlife, Goa is one of the top destinations in the tourism map of India. Goa is so beautiful with swaying coconut and palm trees fringing the backwaters and beaches. It is the destination for beautiful churches with awesome architecture, forts with immense historical values and the place is a testament to its Portuguese past. Goa is one of the few destinations in India that receives good volume of foreign tourists every year. To Indians also, Goa is one of the best places to visit and spend quality time with friends and family while being on vacation. 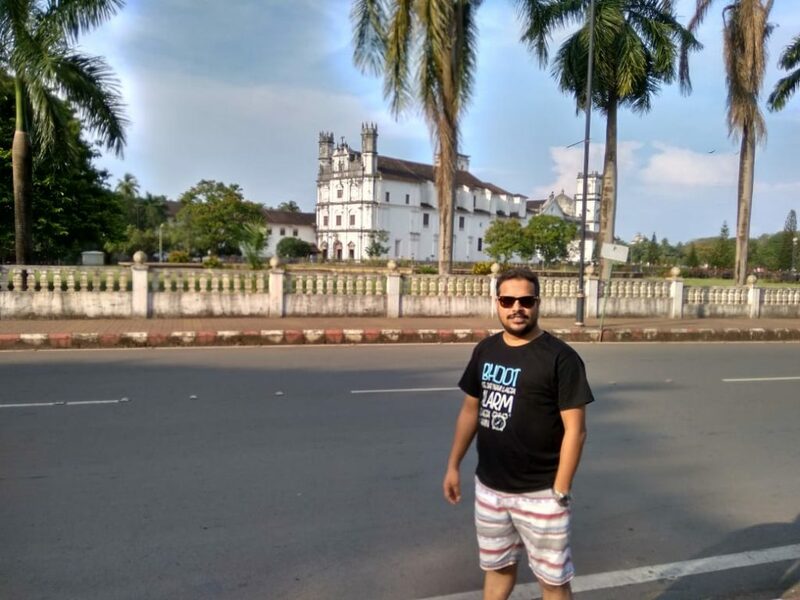 I have visited Goa quite a few times now and it is one of my favorite destinations too. My last trip to Goa from 24th to 28th September 2018 was an office trip to attend a training program on Leadership and Management for senior executives in healthcare industry held by IIHMR University of Jaipur. 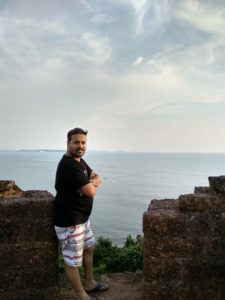 I have been receiving many inquiries on my past blog posts about Goa and I have seen that the primary query of a person planning his first trip to Goa is whether he should visit South Goa or North Goa. I had the same question in my mind before my first trip to Goa back in 2011. I have been thinking of writing a post on this topic since long but couldn’t manage. 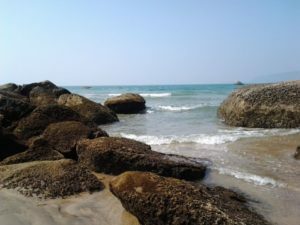 So, while being on my last trip to Goa, I had in mind that I would go back and write a post on North Goa vs South Goa. Finally, I am writing this article and hope this will help all traveler planning their first trip to Goa. Goa is primarily known for beaches and I should say that I visited almost all beaches in South and North Goa. 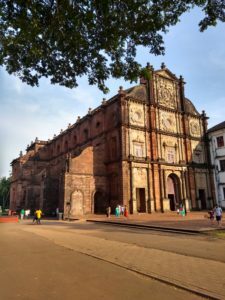 Before I write in detail, I should let you know that Goa is not only about beaches and nightlife, but one should also visit the beautiful forts, Churches, places with historical importance and few wildlife destinations and sanctuaries. So where should you go? 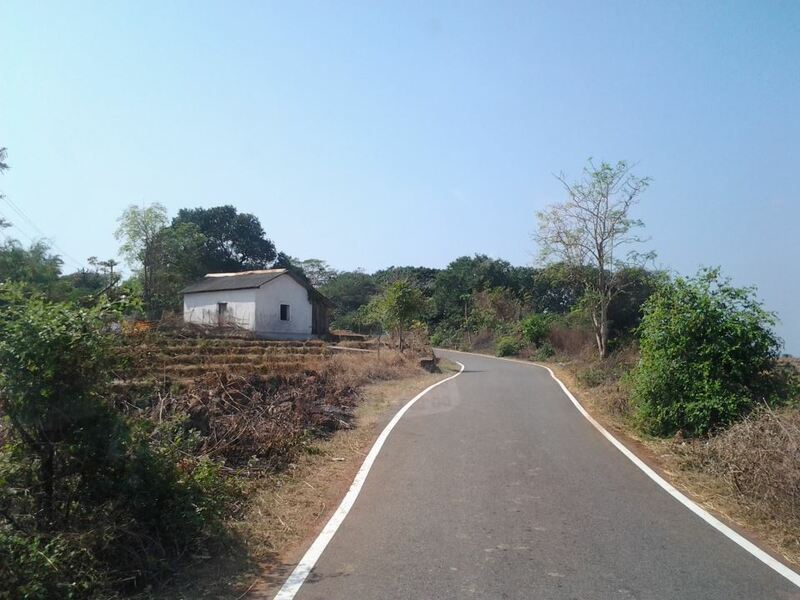 Here are some points of difference that will help you decide better between North Goa and South Goa. Goa has numerous picturesque and vibrant beaches in North and South Goa. However, beaches on both parts are different in nature. Beaches in both regions have different vibe and cater to different needs or wishes. Let me first talk about south Goa beaches. 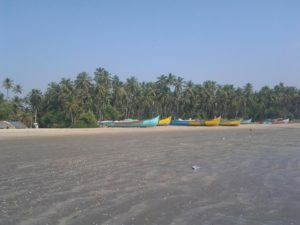 Beaches in South Goa are tranquil and secluded. 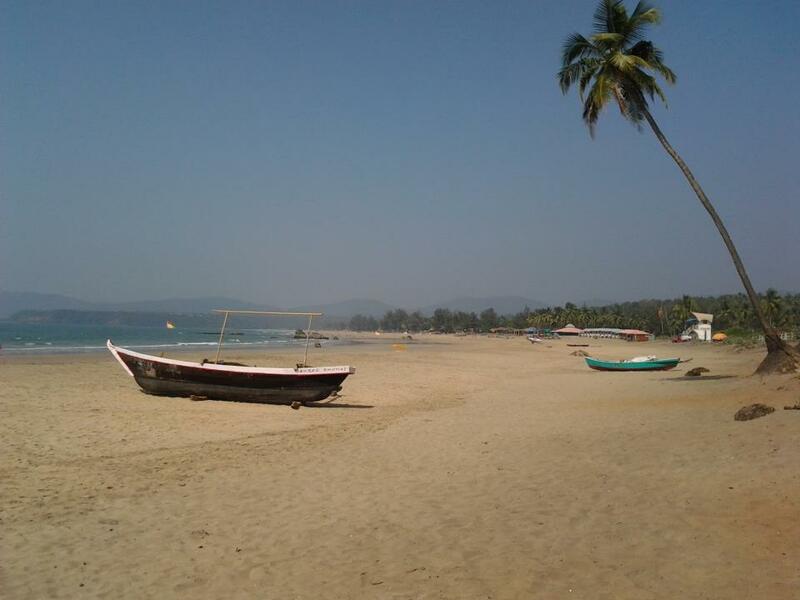 If you are looking for serenity, South Goa beaches are the destinations for you. If you want to engage in activities like Yoga, meditation or just want to chill in peace by the beach. 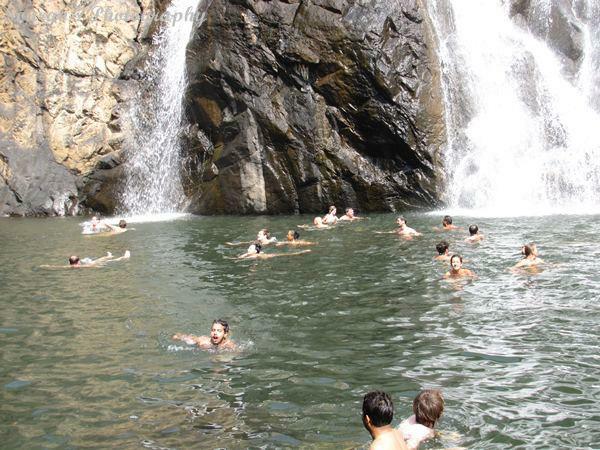 South Goa should be your destination if you are looking for a relaxed trip and spend some peaceful time with nature. There is less chaos and traffic to South Goa compared to Norther part. South Goa beaches are mostly frequented by foreigners and Indian tourists are very few compared to North Goa. The beaches are clean and quiet, perfect to witness a sunset. One can spend a whole day just by laying down in a beachside shack with some drinks and food. Most beautiful and tranquil beaches in South Goa are: Agonda, Palolem Butterfly, Varca, Mobor, Benaulim and Cola. The beaches in North Goa are happening. North Goa beaches are party animal’s heaven. If you are looking for electrifying ambiance, I would suggest you head to North Goa. 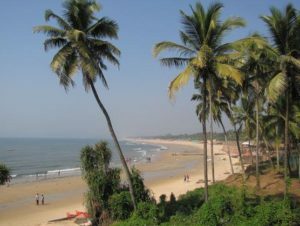 North Goa is popular for cafes, night clubs, pubs and happening beach shacks. 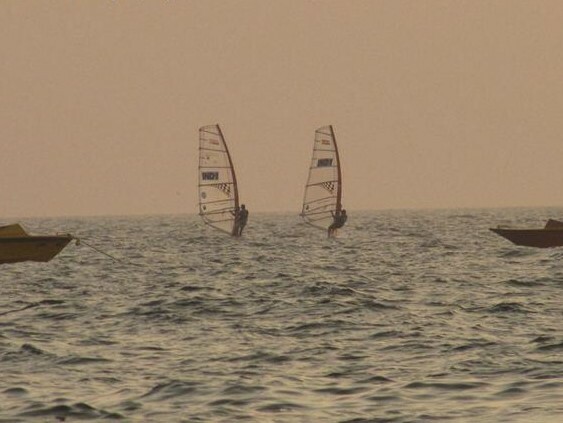 If you love to be surrounded by people and a jovial atmosphere, North Goa beaches are a must visit. There are shacks by the beach that plays loud music, provide authentic Goanese food and delicious sea food. 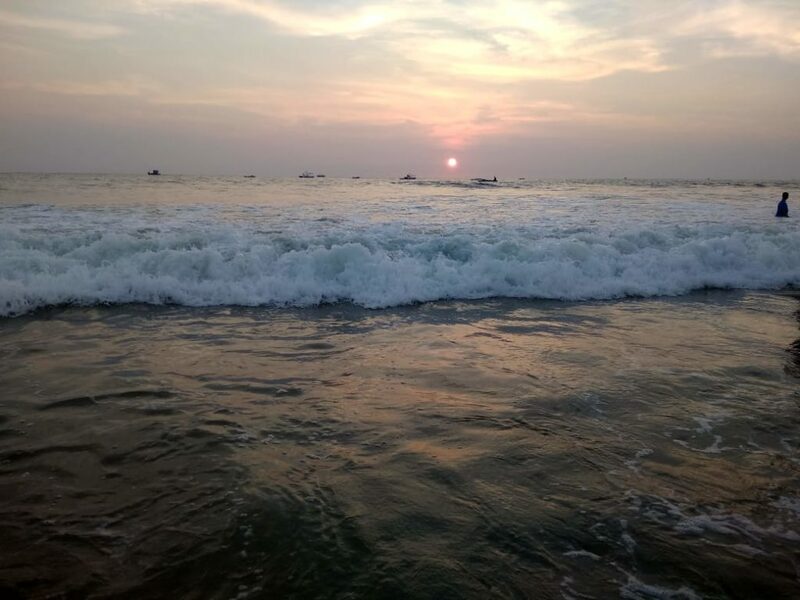 Most happening beaches are Baga, Candolim and Calangute. Best beautiful beaches in North Goa, happening beaches are: Candolim, Baga, Calangute, Anjuna, Vagator, Morjim and Arambol. I have already stated that there is more to Goa than just beaches, nightlife and parties. 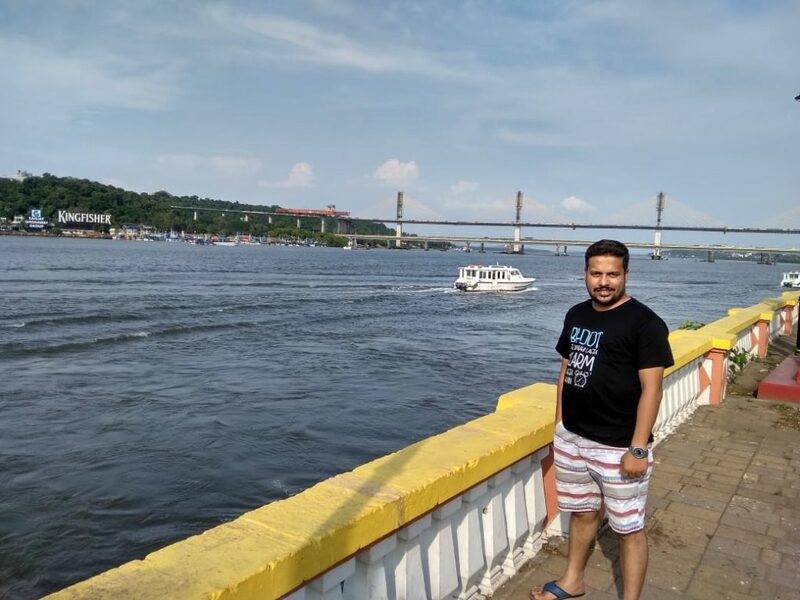 Goa would be a perfect tourist destination for a person who other than beaches also loves to visit waterfalls, wildlife sanctuaries, forts, churches, cathedrals and places with historical importance. Apart from tranquil and serene beaches, South Goa is popular to wildlife and adventure enthusiasts. There are quite a few wildlife places with its distinct flora and fauna. 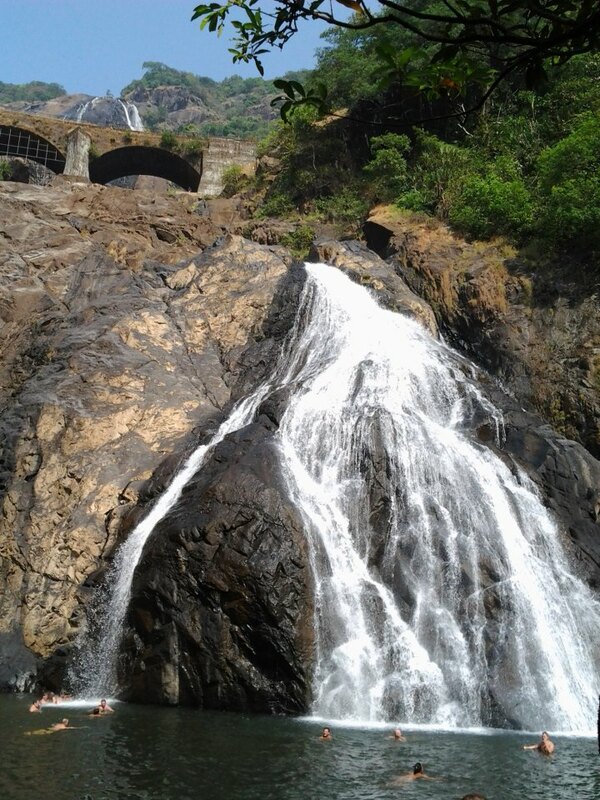 The beautiful, four-tiered Dudhsagar waterfall in Mollem National Park is a superb tourist attarcation. The Cabo de Rama fort is another beautiful fort in South Goa that I like to visit. 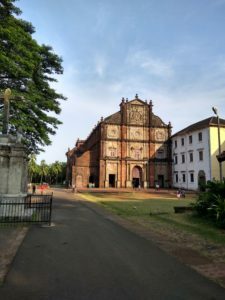 There are many churches in South Goa too which are beautiful and worth visiting but do not hold as much historic significance as churches in North Goa because these churches are newly built. Cabo de Rama fort, St. Xavier’s Church, Cotigao Wildlife Sanctuary, Netravali sanctuary, Dudhsagar waterfall, Bhagwan Mahaveer Sanctuary and Mollem National Park. can you spot me there in the water? If you are a history buff, North Goa will not fail to impress you. 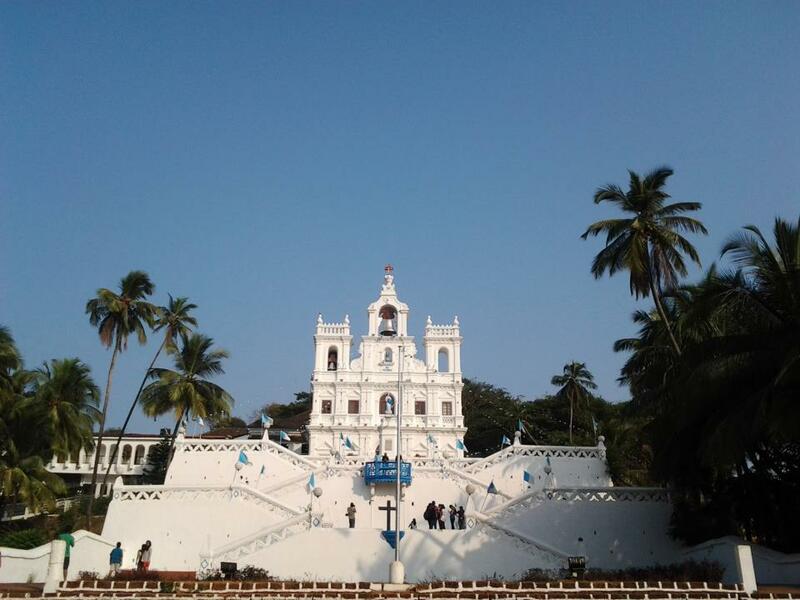 North Goa is a testament to its past of Portuguese culture and habitat. 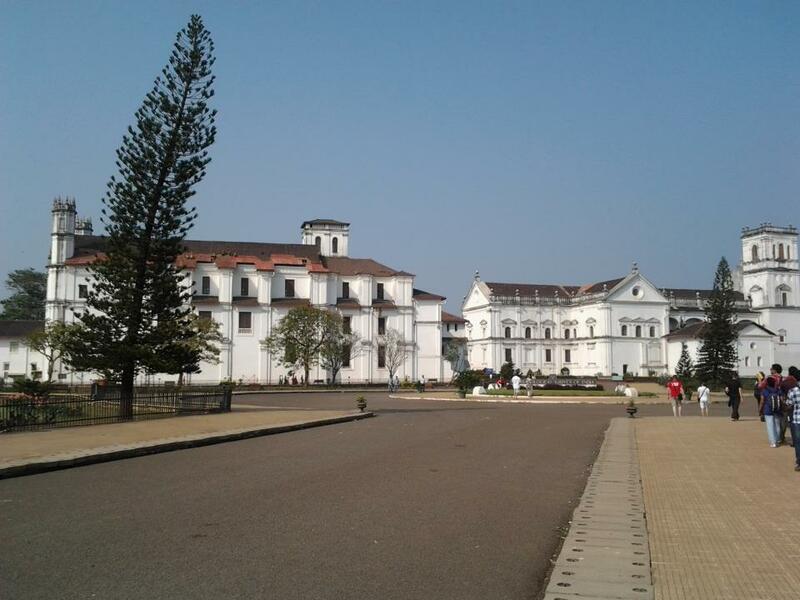 The churches and houses demonstrating the Portuguese history in Goa are major attractions. 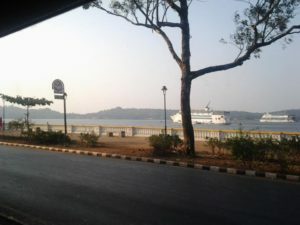 The Mandovi riverside in Panjim is a popular place for tourists. Once spend time visiting the eating joints, casinos, pubs and cafes. 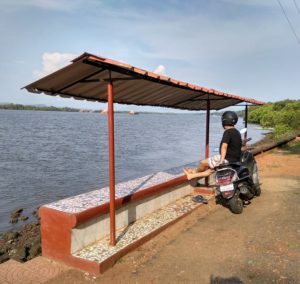 Romantic couples or people fond of serenity and tranquility can find their moments in the backwaters and lush green terrains along the Mandovi river. The backwaters of Chapora river are truly scenic. By sailing in boats or staying in house boats in backwaters, one can enjoy the rustic charms of Goa. North Goa is also popular for river cruises. The evening spent on a cruise will be memorable. The boat trip from Coco beach to view dolphins in the sea is popular among tourists. Some of the most beautiful forts with immense historical value are in North Goa. Panaji riverside, Old Goa, Basilica of Bom Jesus, Church of St. Francis of Assisi, Chapora Fort, Chapora and Mandovi backwaters, Fort Aguada, Dona Paula view point, The Church of Our Lady of Immaculate Conception, Dolphin trip from Coco beach, Anjuna Beach flea market, Mayem lake, Mhadei and Bondla Wildlife Sanctuaries. 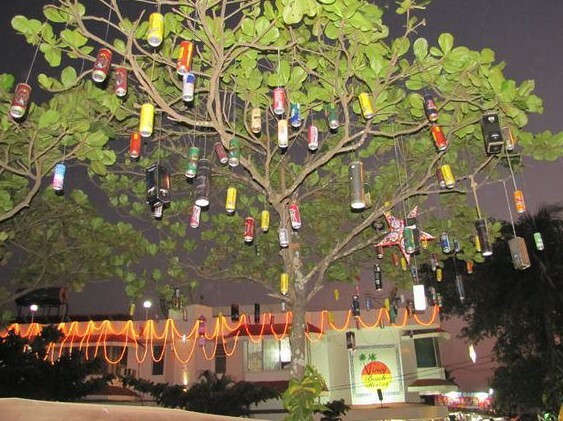 Nightlife in both parts of Goa are different and cater to different needs of tourists. Both South and North have something to offer to its tourists. Your Goa trip will be incomplete without enjoying its nightlife. Let me first tell you about the nightlife in South Goa. South Goa is quite less happening, and electrifying compared to North, but it has its own charm. This part of Goa is popular for silent noise parties, where people gather and listen to their own music with headphones on. You can also find groups in beaches playing music with guitar. South Goa beaches are most favorable for stargazing. 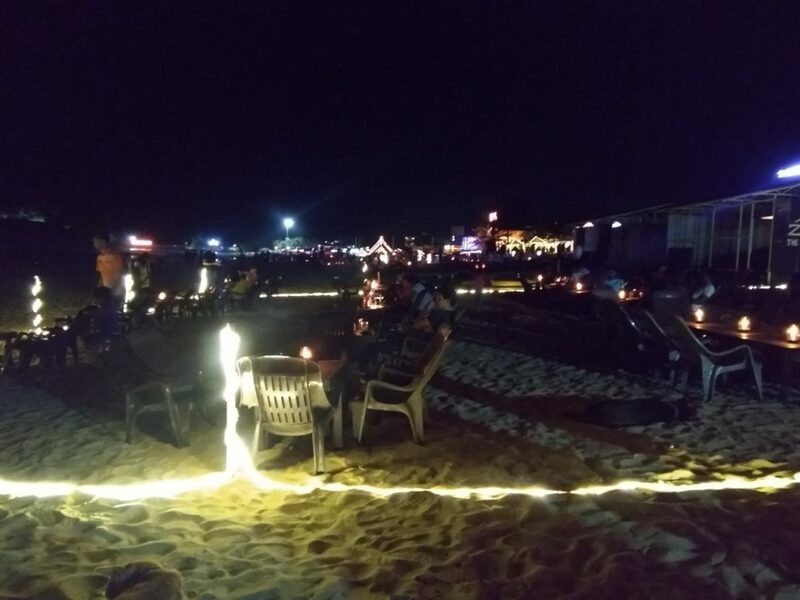 Best ways to enjoy nightlife is South Goa are: Join a music playing group in the beach, enjoy silent noise party at Palolem beach and Agonda beach. One also join the dance party at Leopard Valley in Agonda. Stargazing from the peaceful and serene beaches is another way of enjoying the nightlife in South Goa. 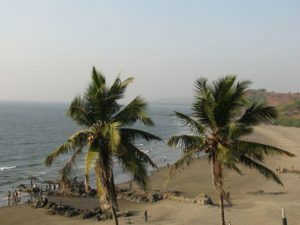 North Goa is famous for its nightlife with beach shacks playing loud music, nightclubs and rave parties bustling with young people and talented DJs. The roads or lanes that lead to beaches in North Goa are full of pubs and nightclubs and make the atmosphere electrifying. You can head to a nightclub or enjoy having delicious and sumptuous food in beach shacks with music playing at the backdrop. Most beach shacks and clubs stay open till 3 am. One can also visit a casino and spend time trying their lucks. There are many casinos in Panaji riverside. Even there are cruises with casinos on board. 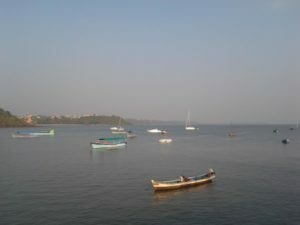 Another way to enjoy the nightlife in North Goa is by going for night cruises. Best ways to enjoy nightlife in North Goa are: nightclubs, happening beach shacks, rave parties, casinos and cruises. South Goa attracts more foreign tourists than North Goa. The Indian crowd in South Goa is more sophisticated compared to the Indian crowd in Norther part. People looking for less chaos and serene places, tend to visit South Goa. If you are looking for a peaceful and quite vacation, you should head to South Goa. If you prefer large crowds, electrifying parties and happening places, you shouldn’t miss the charm of North Goa. 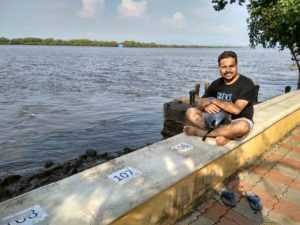 Visit North Goa if you are looking for energetic vibes. North Goa attracts more local crowd or Indian crowd compared to the South. You can also write a mail to me at: UVREACHEDAVI@GMAIL.COM or send your queries through the comment section below. Already been to Goa? 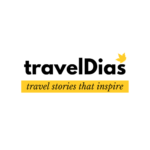 Please do share your experience on TravelDias and help other readers in the community. This is really helpful Abhijit. Good job done. I have booked my tickets for this 14th, will be in Goa this puja & your blog will be my guiding star. Thanks!! Thank you so much for the appreciation. Wish you a very happy trip ahead. Please do share your experience in the comment box below after you return.